Vendavo joins us for some tagging! Home/Classes, Community, Mural Production, Team Building Workshops, Uncategorized/Vendavo joins us for some tagging! A team from Vendavo came by 1AM to test their graffiti writing abilities and turned out a decidedly awesome final product. 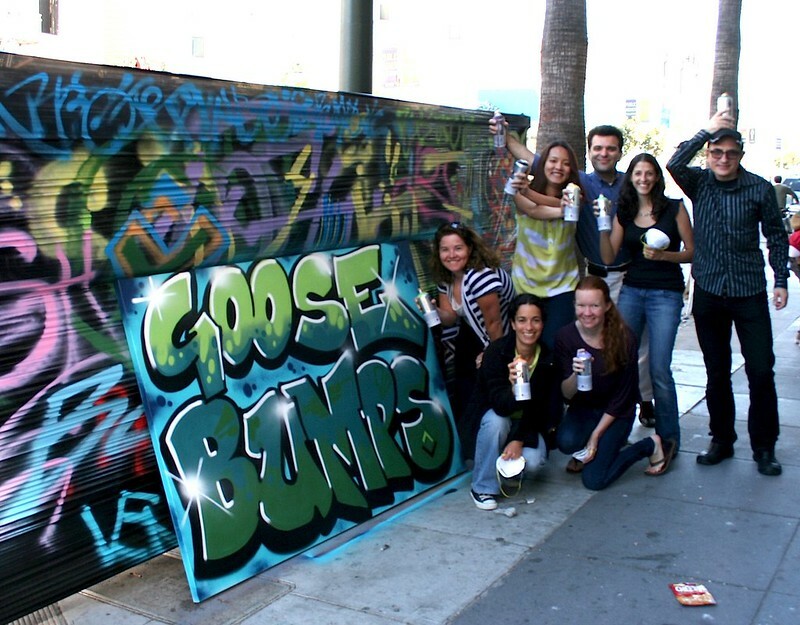 While their inscription choice of “Goose Bumps” may sound a bit foreboding, their positive attitudes were certainly not. Shoot us an email at privateevents@1amsf.com to get your team or group involved!